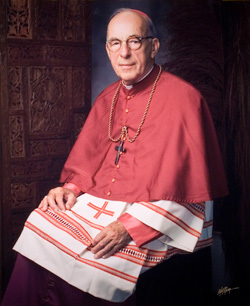 The Most Reverend Arthur J. O’Neill, D.D., V.G. Arthur Joseph O’Neill was born in East Dubuque, Illinois, on December 14, 1917, the son of Leslie and Clara Runde O’Neill. He attended St. Mary Parish grade school and then attended Columbia Academy in Dubuque, Iowa, for his high school education. He continued his classical education for two years at Columbia College (Loras), Dubuque, and then completed his philosophical and theological studies at St. Mary Seminary in Baltimore, Maryland, from 1937 to 1943. He was ordained to the Sacred Priesthood by The Most Reverend John J. Boylan at St. James Pro-Cathedral, Rockford, on March 27, 1943. Father O’Neill’s first assignment was as the Assistant at the Pro-Cathedral Parish in Rockford. In April 1954, in addition to his parochial duties, Father O’Neill was appointed the editor of the diocesan newspaper, The Observer. On October 4, 1954, he was appointed Administrator for St. Thomas Aquinas Parish, Freeport and became the Pastor there in 1957. Father O’Neill served his parish and the Diocese from Freeport for the next 10 years. Pope John XXIII named him a Papal Chamberlain with the title Very Reverend Monsignor on January 5, 1963. On January 9, 1967, Bishop Lane appointed Monsignor O’Neill Pastor of St. Peter Parish, Rockford, and he continued to serve as the editor of The Observer. It was while serving in these assignments that Monsignor Arthur J. O’Neill was appointed the seventh Bishop of the Diocese of Rockford. The Most Reverend Arthur J. O’Neill was ordained and installed as the seventh Bishop of the Diocese of Rockford on October 11, 1968, at St. Peter Church, Rockford. The Apostolic Delegate to the United States, Archbishop Luigi Raimondi, was the principal celebrant and consecrator, with Archbishop Leo Binz of St. Paul and Minneapolis, and Archbishop James J. Byrne of Dubuque, as the senior concelebrants and co-consecrators. John Cardinal Cody, Metropolitan Archbishop of Chicago was present and presided in the sanctuary. 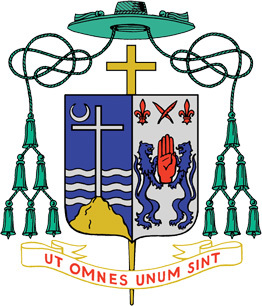 Bishop O’Neill’s episcopacy is, to date, the longest in the history of the Diocese of Rockford. From the date of his ordination and installation to the date of the acceptance of his resignation as bishop in accord with Church law, he served the local Church for 25 years, six months and eight days. Bishop O’Neill continued and expanded what all of his predecessors had done to strengthen and spread the Catholic faith, to deepen the spiritual and liturgical life of the Catholic faithful, to expand and refine the Church’s apostolate of Catholic education, to increase the means and methods of communicating with the people of the Diocese, to promote vocations, to foster Catholic social action and services to the poor, to assist the increasing numbers of new migrants and immigrants as they arrived in the Diocese, and to find a more creative means for clergy and laity alike to support their parishes and their Diocese with their time, talent and treasure. The episcopate of The Most Reverend Arthur J. O’Neill, D.D., spanned more than two and one-half decades in the life of the Diocese of Rockford and the Universal Church. The times proved to be much different from those of any of his predecessors both for the Catholic Church and for the larger society and world. Throughout all the events both large and small in these times, Bishop O’Neill was that faithful and faith-filled point of reference for all of the Catholic faithful of the Diocese – the priests, the religious and the laity. 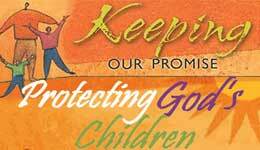 From the earliest days of his tenure in 1968 through the last days of his time as Diocesan Bishop in 1994, Bishop O’Neill strove to fulfill the first role of every Bishop, to be a father to all entrusted to his care. It is clear that Almighty God blessed his efforts and that they have borne good fruit.